I've seen plenty of Red Kites this year, mainly when driving along the M40 and M4, but have yet to see one in Surrey. I've missed a number in recent weeks that have flown over at the Holmethorpe Sand Pits, one by about five minutes, and therefore the charismatic Kite has become one of my Surrey birding bogey birds. Then late this afternoon after work, on another warm spring day, Annie and I went for a drive. The plan was just to go for a pleasant, late afternoon, walk. I wasn't sure where we were going to end up, but not surprisingly, I had Surrey year ticks on my subconscious - Red Kite in particular - laced with a mix of pleasant countryside and not too many birding distractions. 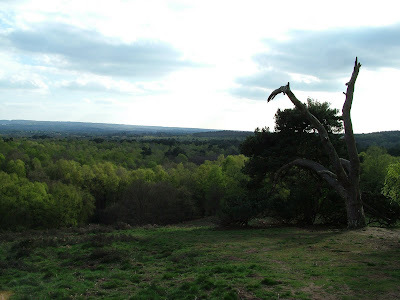 I ended up at Puttenham Common. It's a reasonable walk, plenty of good views towards Hindhead, and not that many interesting birds to distract me. I was expecting to hear Woodlark on our travels, but not a sound. I listened out, hopefully, for a cronk from a Raven, but nothing. There were plenty of Great Spotted Woodpeckers but not much else. Then in a space of about 30 seconds, a Wheatear flew up and weaved through the scrub into the open and disappeared out of view. 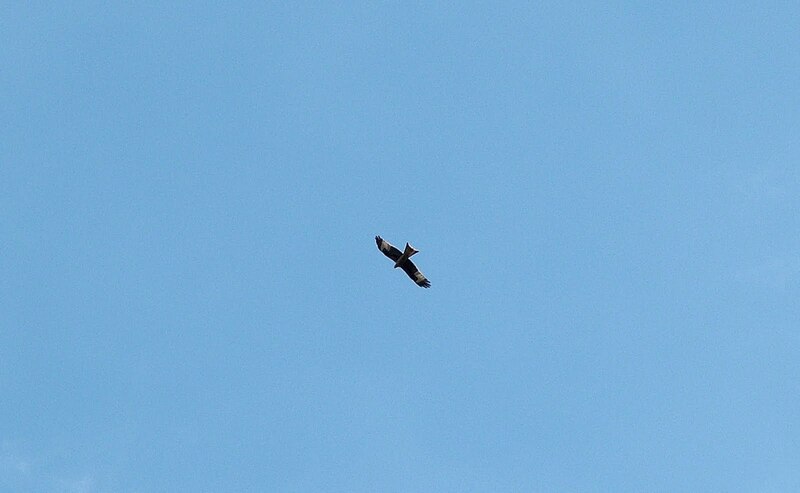 And then, about 200 metres ahead, a large raptor, with slow flaps of its wings, appeared at eye level and flew up and climbed into the sky. 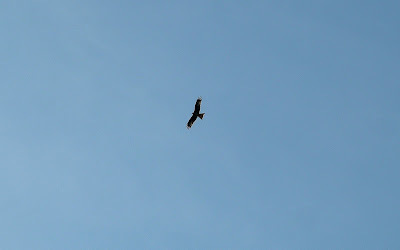 And there it was, a magnificent Red Kite (119). It climbed and circled above us before drifting off to the north. I tried not to sound too excited (the walk wasn't supposed to include bird watching, remember) so any emotions had to be restrained, but it was a great sight to see at long last.